Cape Town - Southern Kings rugby fans in particular and Eastern Cape rugby fans in general are in for a treat and will be able to watch their favourite team against world class opponents as the PRO14 comes to South Africa, with tickets to this exciting new addition to the rugby calendar available immediately. The Southern Kings will be in action in the magnificent Nelson Mandela Bay Stadium no less than 10 times, taking on the best teams from Ireland, Scotland, Wales and Italy, as well as a local derby against the Cheetahs. Their opening match will be on Saturday, 16 September, when they take on Irish powerhouse, Leinster. The Southern Kings on Thursday announced a wide range of ticket options for these matches, which will allow all rugby supporters the ideal opportunity to come and watch some of the best players in the world taking to the field against them in an iconic stadium. 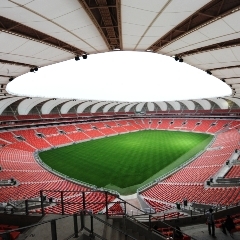 There will also be a first-time offering of scholars’ tickets to be purchased and according to Kings Chief Operations Officer, Charl Crous, the whole pricing structure is aimed at making this international competition really affordable and allowing supporters and especially families the opportunity to experience the match day action live from their seats within the NMB stadium. Kings Head Coach, Deon Davids, urged fans to come and support the team: “There is no doubt, as we saw earlier this year, that our team plays at its best when they have local support. We are grateful to those who came out in numbers this year and I am confident that they will come back for more when we play against all these world stars in the PRO14. Nelson Mandela Bay Stadium Manager, Mpho Mokonyama, also promised a full rugby experience to those coming to the stadium. “We have had some wonderful matches already this year, including an amazing Test match, but the good news is that there is more to come,” said Mokonyama. The Kings will take on Leinster (Ireland), Zebre (Italy), Ulster (Ireland), Scarlets (Wales), Edinburgh (Scotland), Dragons (Wales), Benetton (Italy) and Cardiff Blues (Wales) as well as the Cheetahs. Tickets will be available from Thursday, September 7.